When you write easy readers, it's hard not to think about art. Part of the reason that easy readers are easy to read is that pictures do some of the work for you. If you happen to get a book published through a big publisher, they generally take care of choosing an artist for your book. If you self-publish, you're on your own. You may have a friend who can do the art for you, or you may have to do it yourself. I thought it was about time to talk about that "do-it-yourself" route. I'll be the first to say that the drawings can be a problem. I have an easy reader that's been written for months but I can't get the art to look the way I want. (The lead character is a Japanese girl, and I want her to look Japanese. I can get the male characters to look right, but not her. It's extremely frustrating!) But there's a world of difference between trying to make the art look a certain way and just being able to draw. If my character just needed to be a girl, I could do that. The fact is, most of you could too. Many of you say you can't draw, but think about comic strip characters. 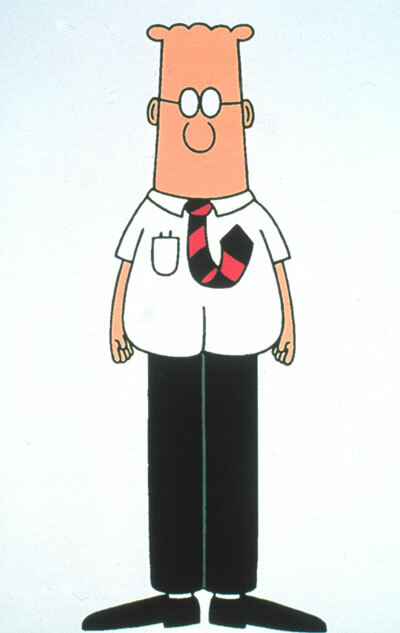 Are you sure you couldn't draw something that looked like Cathy Guisewite's character Cathy? 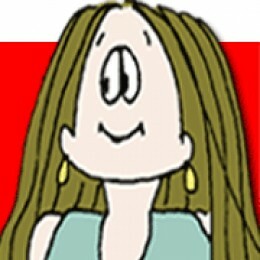 You can look at some of the Cathy comic strips at gocomics.com. Most of her characters are pretty simple to draw. Could you doodle out a girl who looked something like Lucy from Peanuts? Charles Schultz did a lot with circles and dots. Or you could check out Cute Chick and Fat Broad from Johnny Hart's classic caveman comic BC. Both men drew extremely simple men and women. You need a more contemporary guy? Take a look at Scott Adams's strip Dilbert. Could you doodle out something like that? If you need animals, you could look at Pearls Before Swine by Stephan Pastis. Those animals are not just simple to draw, but they're hilarious-looking! Comic strips are loaded with simply-drawn characters that are extremely popular with most everybody. It's hard to believe you couldn't do something similar to the cartoonists I've mentioned -- the cartoons may look childishly simple, but that's because their artists intend them to be simple. When you know you're going to be drawing a character several times in a strip, in every strip, every day for the next couple of decades, you go out of your way to make them simple to draw! Occasionally I'll be looking at some of the simple things we can do to make drawing our own art easier. In the meantime, you might want to look at some popular children's characters like Captain Underpants. This isn't rocket science, people. Doodlers are welcome to join in! Just one word of advice: At least for a while, avoid characters that need to look a certain way... like Japanese heroines. Unless you already know how to draw them, that is. The cartoons came from this Hubpage and this page at Cracked.com.